Tired of your old home? Buying, selling or remortgaging your home in Portsmouth? Instantly get a fixed fee conveyancing quote with our online calculator completely free of charge and with no obligations. Moving far or staying close, we compare solicitors anywhere in the UK. For a completely free and instant conveyancing quote comparison, use our user friendly online service for excellent online prices, with no obligation. Interested in a residential property in Portsmouth? Our quick and easy purchase conveyancing quotes market comparison service will save you time and money completely free of charge. Our remortgage conveyancing quote calculator below only needs you to enter the relevant details, then it will instantly compare Conveyancing Solicitors in Portsmouth in order of price, location and lender if required. No charge or obligation attached. Our expert legal panel, made up of UK regulated solicitors and licensed conveyancers, can provide you with a fast efficient conveyancing quote in Portsmouth. You can get advice on Conveyancing in Portsmouth from any of our solicitors without any obligation from you to instruct – simply get a quote and arrange a call. Your dedicated Portsmouth Conveyancing Solicitor will contact you regularly to update the progress of your transaction. Portsmouth is one of the largest port cities in the UK, and a major naval base for both commercial use and the Royal Navy. The city has a population of just over 200,000 and lies 19 miles away from Southampton, 49 miles from Brighton and 70 miles from London. Importantly Portsmouth also has the highest population density of any city in the UK, the only city in the UK to have a higher population density than London. The most notable thing about Portsmouth is definitely its naval use and history, currently the home of HMS Victory which is the oldest commissioned vessel in the world, and Portsmouth is currently the home of the Queen Elizabeth Class Fleet Carriers which are still undergoing trials. Commercially Portsmouth is also a very busy port, serving hundreds of cargo haulers on a near daily basis. Aside from Port activity, Portsmouth also has many landmarks and tourist attractions. Mostly related to Portsmouth’s naval history, which includes the D-Day Museum and HMS Victory. Charles Dickens and Isambard Brunel were also notably born in Portsmouth. Portsmouth’s transport consists of strong train links to London Waterloo, Cardiff, Southampton and Bath. Portsmouth also has direct road links to other major ports like Dover and Brighton, and easy access to Brighton and Gatwick Airports. Although its population density and location do mean property is very expensive and competitive in Portsmouth. Q: What is the cheapest way to get conveyancing work carried out in Portsmouth? A: While many solicitor’s shop windows may shout that they offer a conveyancing package for £199, this is not the case. Search fees and other disbursements amount to more than £200, so there are bound to be other charges on top of this figure. At conveyancingsupermarket.com, a panel of professional and experienced conveyancers have been selected and recommended so that buyers can compare set prices with no hidden charges – the figure quoted is all that you pay. Q: Do I necessarily have to employ the conveyancers recommended by my estate agent? A: Not at all. In many cases, an estate agent will not be recommending a conveyancer because he is the best, but because he will receive commission of between £300 to £1,000. Comparing quotes from independent conveyancers is the recommended way to find the best deal for you. Q: What searches will a conveyancer carry out on a property in Portsmouth? A: Firstly, there is a local authority search. This is a thorough investigation of the property and its surroundings, to find if there are any plans for major road building or new housing developments in the local area. Land Registry checks look in detail to find whether the Title Register and Title Plan are in order; a water authority search will find how water is provided to the property and how public drains may affect it; an environmental search will look for possible causes of contamination and the impact of local industry, landfill, and the risk of radon gas or flooding. Q: I want to buy a property in Portsmouth for £425,000. How much Stamp Duty will I have to pay? A: Stamp Duty is only payable on properties selling for more than £125,000. Above this, the duty increases in bands until the higher threshold of £1.5 million, which incurs 12% of the purchase price. A property in Portsmouth costing £425,000 would be liable for Stamp Duty of £11,250. See www.stampcalculator.co.uk for a simple way to calculate any amount of duty. Q: Can I carry out my own conveyancing in Portsmouth? A: Yes. Many people have successfully carried out their own conveyancing, but it takes a lot of research, time and will not save homebuyers a lot of money, if any at all. 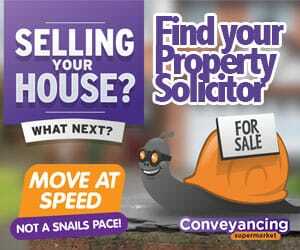 Q: At what stage should I instruct a conveyancing solicitor? A: As soon as you have an offer accepted. However, it is advisable to do a bit of research beforehand to find out what is involved in the process. This knowledge will also assist you in speeding up the process and helping the conveyancer to help you.